Located on Dilworth Road, The John Henry Phelan family of Beaumont, Texas donated the funds to build the Saint Patrick in loving memory of his parents, Patrick and Margaret Adele Phelan. Frank Frimmer, an Austrian native known for remodeling famous Old World churches, designed and supervised construction of the church, with its gray stucco face, 400-seat nave, balcony and 77-foot tall tower. The ground breaking took place on March 17, 1939. On Sept. 4, 1939, Bishop Eugene J. McGuinness of Raleigh consecrated the church under the patronage of Saint Patrick. 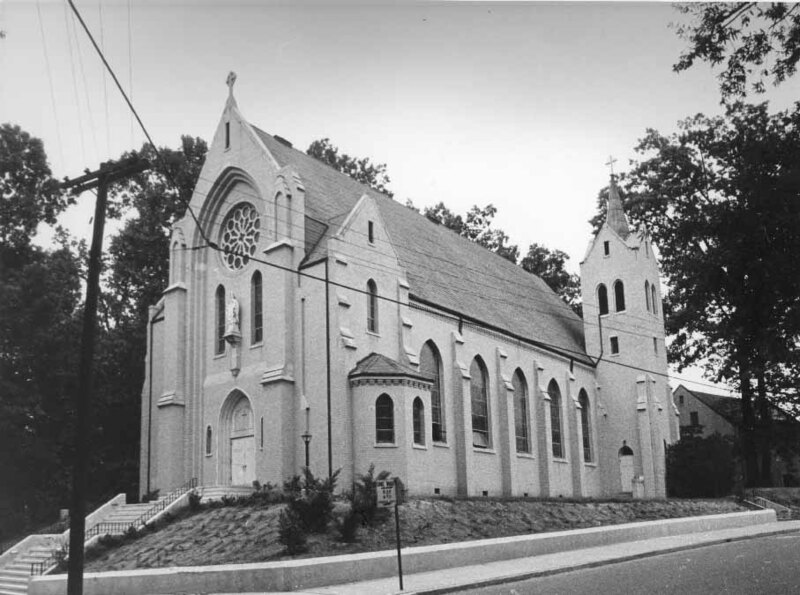 It became the first Catholic church in North Carolina to be consecrated immediately upon completion and in 1942 became a parish with Msgr. Arthur R. Freeman as pastor.